Artefact Description Circular, iron rail (1.5metres diametres approx.). The wheels of the carriage sit on top of the rail. Poor condition and crumbling. History of Artefact The rail is in place to allow the cannon to slide and move 180 degrees from side to side. This allows it to have a wide field of fire. The originals were installed in 1850. The carriage is a replica but the cannon and rail are authentic. There are positions of fire for these in the castle. It has never been used in anger but it was used to practise with. It is positioned on the south-side of Southsea Castle. 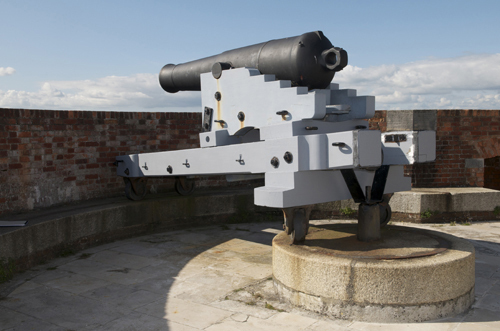 Special Memories 64-pounder gun on loan to Southsea Castle from The Royal Armouries. 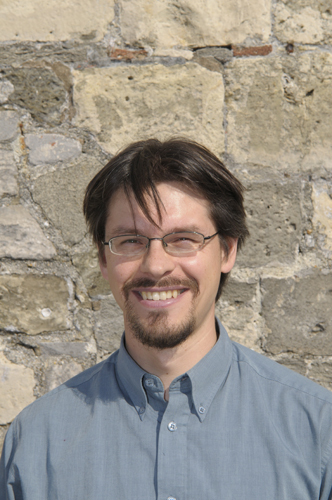 Photograph appears courtesy of the Trustees of The Armouries.